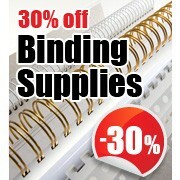 Binding Store supply a full range of the best quality laminating and encapsulating supplies in the UK. From office needs to professional we will be able to assist. Whether you require standard laminating pouches or rolls for basic laminating or something a bit more advanced such as digital, anti-scratch or biodegradable film we stock them all. Call us on 01707 333217 or e-mail us to discuss your needs.